Submitted by admin on 24th Aug 2016, 21:45. After being on the road all last week it was good to have something nice come to us for a change. 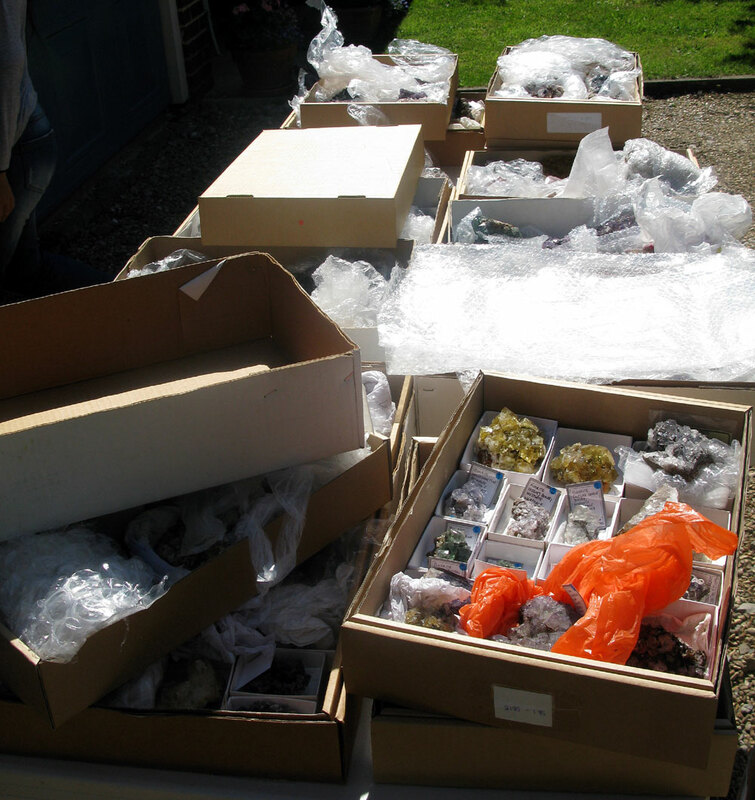 Many UK dealers/collectors will know Steve Buckland as a keen fluorite collector, who has specialised in mostly North of England material over the past decades. As Steve has moved to Thailand and his collection is heading in a new direction (larger pieces) we were given the opportunity to acquire the portion of specimens that no longer fit in. In the flats we have an interesting selection of mixed North of England stuff, with a few interesting localities such as Rotherhope Fell, Burtee Pastures plus good representations from Blackdene, Cambokeels, Frazer's and Heights etc; extending over to Nenthead, Hilton and the wider areas. All in all a nice bunch of bits appearing to appear here on e-Rocks soon after a wash and brush up!